Pune, a city lying adjoining Mumbai bears marks of rich culture and historic past. The relics you find scattered all around the city intermingled with the superfine modernity create a unique ambience that’s truly worthy of relish. Thus tourists flock the city in large numbers these days to get a glimpse of the many tourist spots that Pune has. Read on to learn more. Though Mumbai is the glamorous attraction in Maharashtra, Pune is a place that you shouldn’t miss either. Pune is the 2nd largest city in Maharashtra. It is known as the cultural capital of Maharashtra and for a reason too. There are lots of places of historical as well as religious value that you must visit in Pune. Let us have a look at some of the recommended tourist areas. This monumental palace was constructed in the year 1892 by Sultan Mohammed Shah Aga Khan III. Thereafter, it has gone on to become one of the biggest landmarks in Indian history. 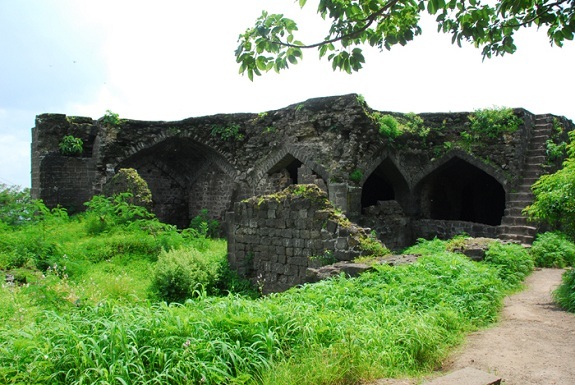 This palace was made as an act of charity by Sultan who wanted to help people in the neighboring areas of Pune who were adversely affected by the famine at that point of time. 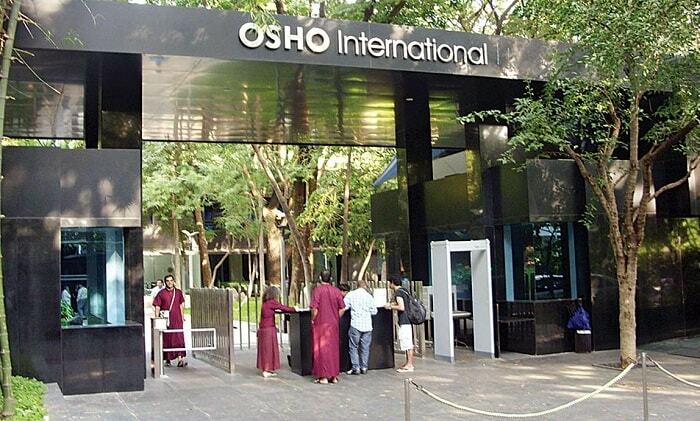 Osho’s vision was ‘Zorba the Buddha’ and the Osho Commune International set up in Pune strives to fulfill Osho’s thoughts. Countless tourists are seen here all the time either for brief visits or extended stays that go up to several months. They take part in the meditation process of Osho University or take active part in the practical side of things. The Kasturba Samadhi is situated within the peaceful area of the Aga Khan Palace located in Pune. 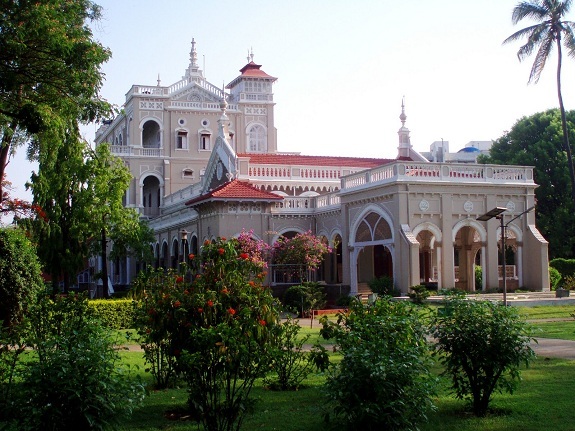 The details regarding the Aga Khan Palace has already been mentioned above in this article. 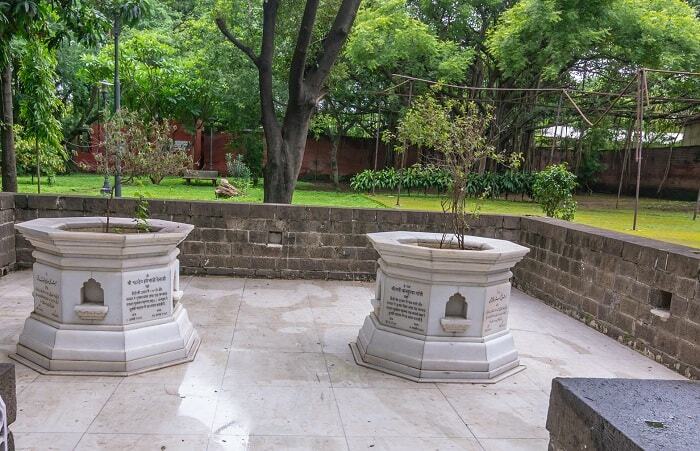 This monument is also called as the Kasturba Gandhi Memorial and was constructed as a token of respect to Mahatma Gandhi’s wife Kasturba Gandhi who is believed to have spent her last moments in this palace. This fort is of big significance as it is the place where the legendary Maratha warrior Shivaji was born. He was a mighty ruler of Maharashtra and was immensely popular among his people due to his incredible bravery. It was in this fort that Shivaji spent his entire childhood taking up lessons regarding military combat. It is situated at a distance of approximately 105 km from Pune. Some of most historically significant monuments that were built in the 16th and 17th century can be viewed in the city of Pune. 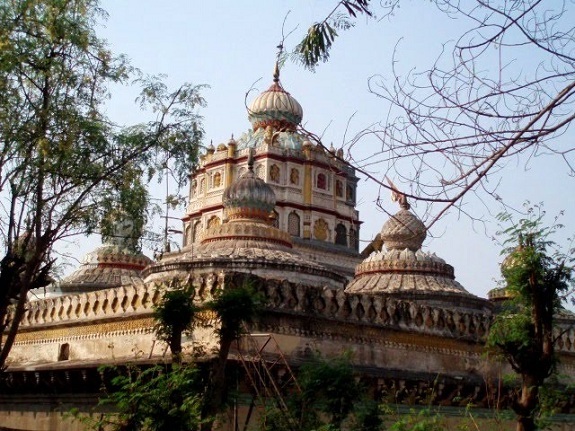 Lal Mahal is one of those monuments and was constructed in the year 1643. Lal Mahal was witness to one of Shivaji’s epic battles against the Mughals. 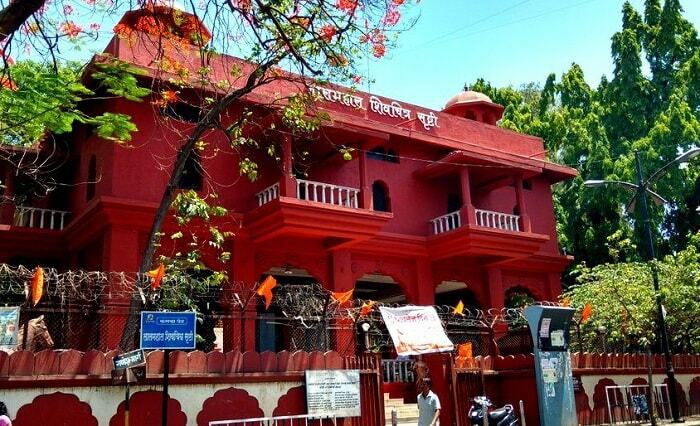 The Lal Mahal is located in the heart of Pune city and hence transportation is never an issue. This is another hugely popular monument located in Pune. It was in the year 1729 that Peshwa Baji Rao commissioned this building of Shaniwar Wada. This building has some wonderful fountains, courtyards, fruits, trees, offices, audience halls as well as places for residential purposes too. There is a famous story regarding Shaniwar Wada that says about how this monument miraculously survived a fire accident thanks to its absorption skills. 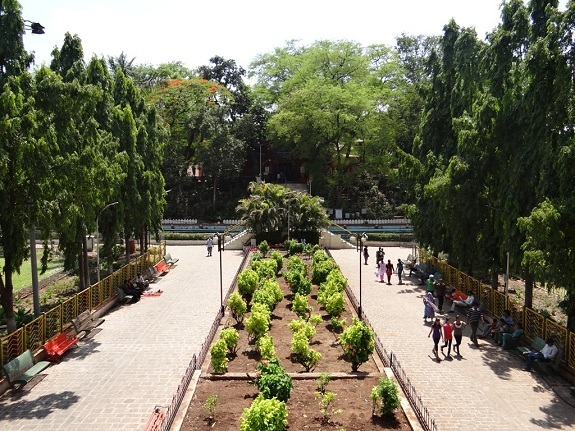 The Saras Baug is a gracious and elegantly maintained garden area in Pune. It is a popular hangout place for people as well as a venue for devotional purposes. During the British rule, the lush green lawn areas were the garbage disposal venues. It is situated in the heart of Pune city and is easily accessible. It is at distance of about 4 km from Deccan and 3 km from Pune station. It is at a walking distance from Swargate. Loads of buses and auto rickshaws are available to Saras Baug. This place is situated near the Pune Solapur road. It is a huge garden spread over an area of 59 acres. Basically, it is a botanical garden that is located near Pune racecourse. 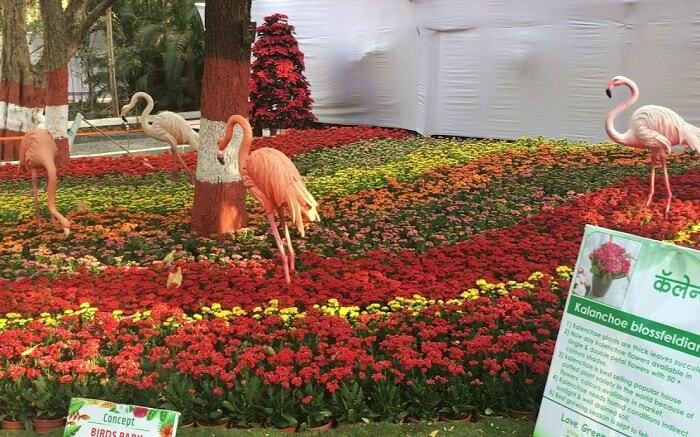 Different kinds of flower and fruit bearing trees can be viewed in this garden. 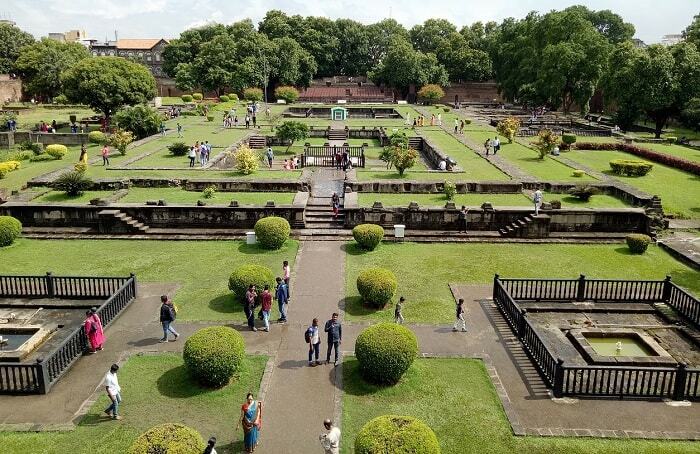 The Empress Garden is a big picnic spot among the tourists and people of Pune. It is well known for its wide array of tropical trees and a small zoo. The main products present in the Empress garden are mangoes, tamarind and cut flowers. The Empress Garden is a widely visited place in Pune. This temple is situated on the Krishna river banks at Saingli. It is one of the most elegant temples that are located in the Southern parts of Maharashtra. The Ganapati Temple is best known for its lavish designs and outstanding architecture which started way back in the 17th century. The Ganapati temples all represent Lord Ganesha in his inimitably different forms. 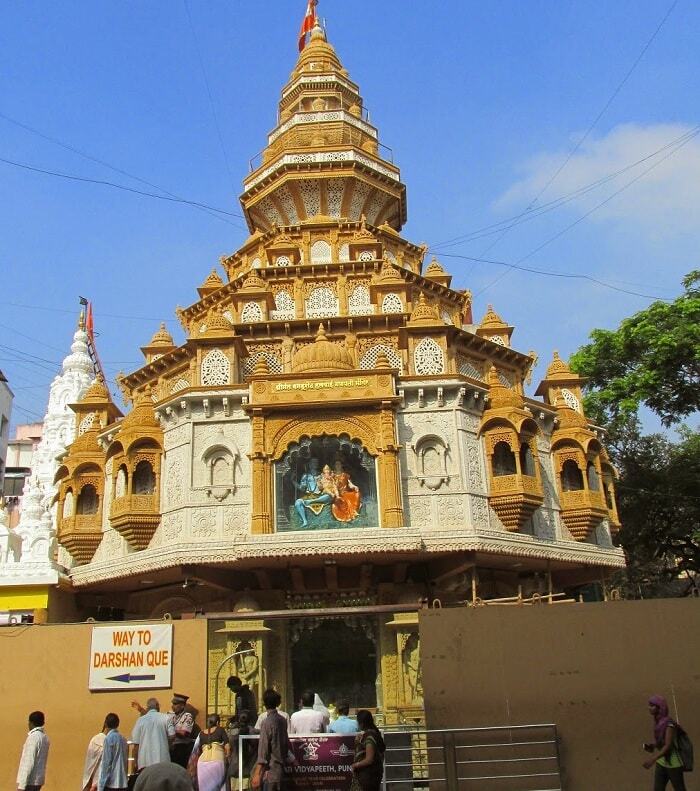 There are many Ganapati temples that are wide spread in Pune. Just like we had mentioned about Lord Shiva, Lord Ganesha is also immensely popular in Pune and you can obtain all the information you want in Pune. This is a place of religious significance located near Pune. It was constructed on the Mutha river banks during the times of Sadashiv Bhau. The temple is about 250 years old and gives the tourists an excellent view with its varied layer of architectural designs. The temple provides a charm of the India of the past. This religious place is also known for the fact that it has the two famous Shivalayas – Amruteshwar and Omkareshwar. Shivalaya means the place of Shiva. In such Shivalayas, we can get to view the Shiva Linga that is worshipped deeply by the devotees. If people want to gain more knowledge about Lord Shia, then this is the place they must never miss at any cost. This is a temple that has been made as a tribute to the Hindu deities Parvati, Vishnu, Shiva, Kartikeya and Devadeshwar. It is situated in the Southern parts of Pune and we can obtain a clear view of the city from these areas. This title of the monument is the joint name of the Parvati temple that is located on top of the Parvati Hill. It is located at a height of 2100 feet above sea level. 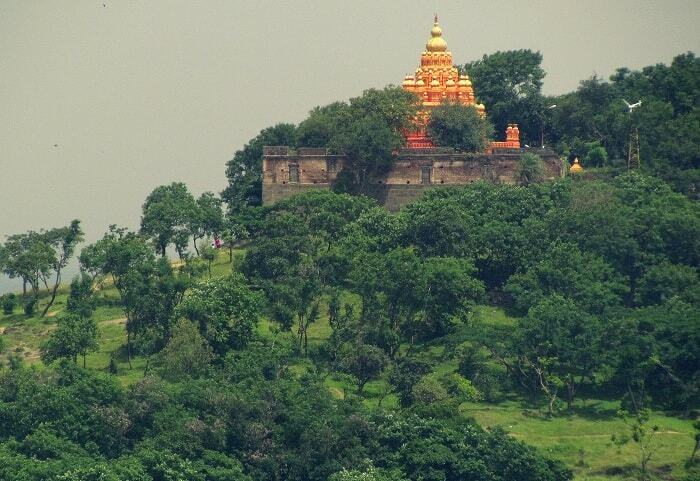 People who want to explore Hinduism as well as the Maratha folklore can visit the Parvati Hill and Temple for more references. This is a reputed conservation park located in Pune. It has a wide range of some of the most dangerous species of snakes, reptiles, birds as well as turtles. In the year 1999, it became a portion of the Rajiv Gandhi Udyan. As many as 160 species of snakes can be seen here. The King Cobra which is about 9 feet long is the most prized collection here and it is about 6 years old! All the details regarding snakes have been kept inside a library that is situated inside the park. In recent times, they have added a zoo to the package to make the place more appealing to tourists. It is a hugely popular tourist spot and a venue for wildlife zone too. 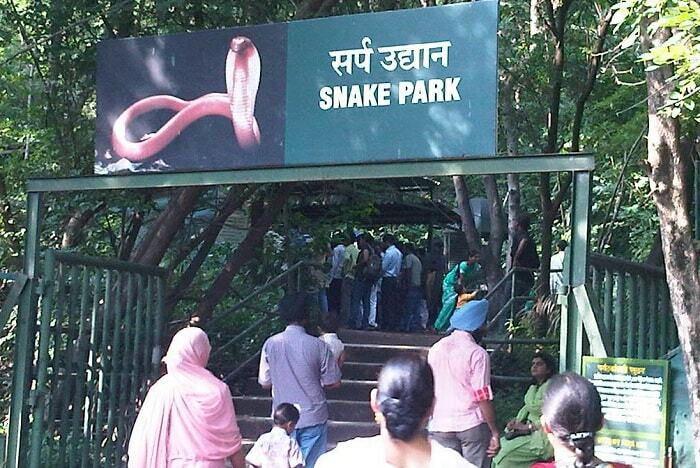 The Snake Park is open from 10.30 in the morning to 6 in the evenings and doesn’t function on Wednesdays. 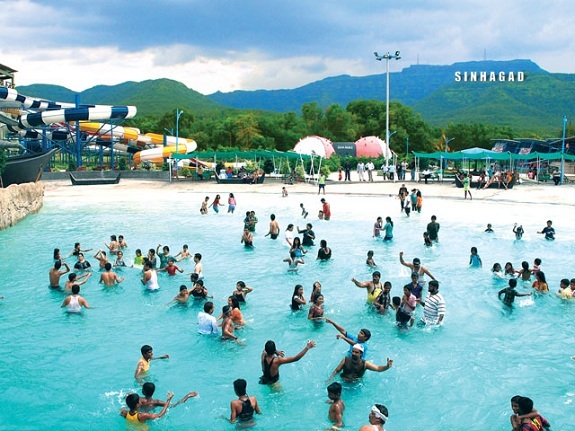 This is one of the most popular amusement parks in India. It is of international standards and is a big draw among tourists in Pune. The theme park has been set up in such a way that the rides here appeal to people of diverse age groups. It is right up there among the largest amusement parks in India. There are food courts available for you to have a bite in between the funky rides. Other facilities provided here include rental prams, costumes, tubes, towel and lockers where you can keep your belongings safely. The fees for entry here are priced at Rs.200 for children and Rs.300 for adults. During the hot weather, this is a tempting option for people to beat the heat at affordable prices and in world-class amenities.